Okay….breathe in and out….okay…I’m good! This is one of the big things I have been working on in the last few months. After the book was canceled (see this post to read all about it)I started submitting designs to different magazines. 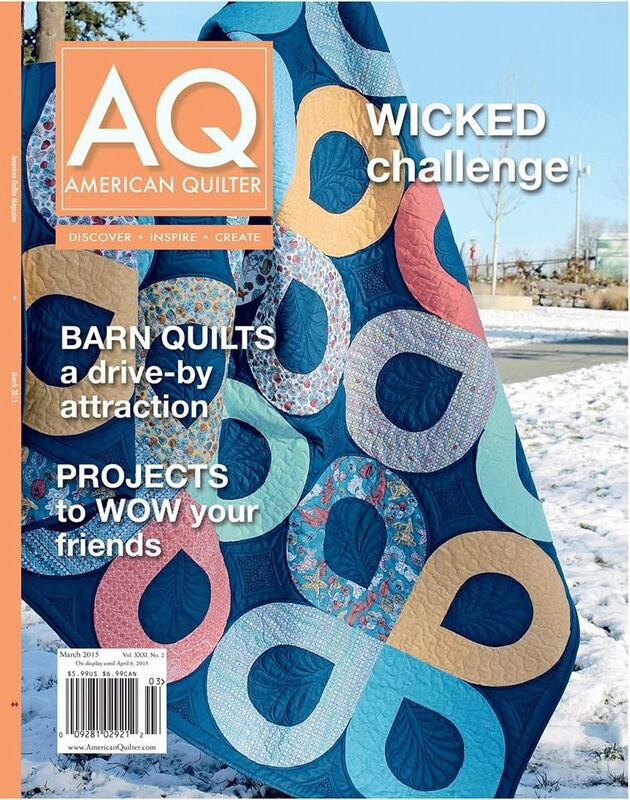 The first place I contacted was American Quilter MAgazine. I have had a subscription to AQS magazine for years. I love every issue, there is always something for me in them. And the subscription comes with membership benefits, like digital content, web bonuses, and access to back issue articles and pattern files. 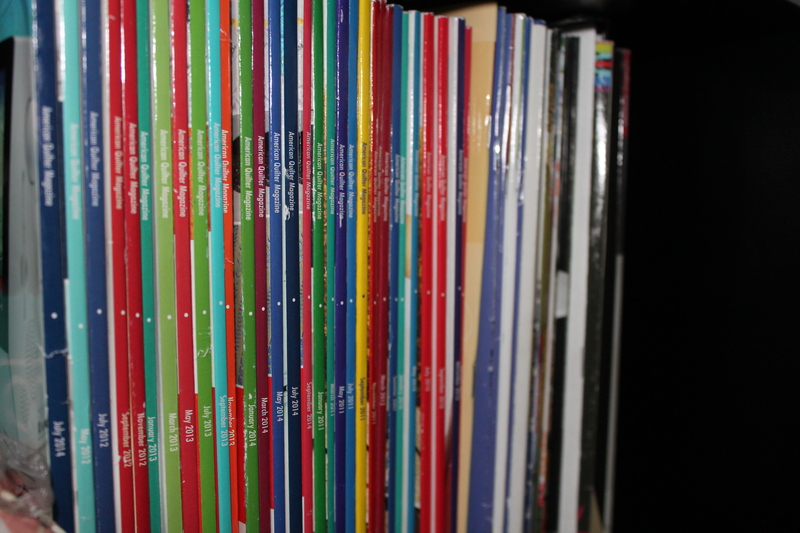 My shelf of American Quilter Magazine. 4 years worth plus a random Jan 2007. I am slowly filling in my back issues as I find them! I was stunned and thrilled at the reaction to my design submissions. Michele, the Editor in Chief, was so supportive and just awesome to work with. We played around with some ideas ( I had a lot!). Then Kim@I Adore Pattern told me she had sent some fabrics to AQS to help promote her line, Tidal Lace. So I decided to mock up another quilt using her fabrics and sent it off to Michele. Everyone loved it, so off to production we went. Whirlpool was a go! Windham was totally awesome and generously provided fabric for the quilt. The day of the photo shoot it snowed. Which is very unusual for Vancouver, but it was also the only sunny day that week ( its the rainy season. I have a half dozen things that need photographs. STOP RAINING!) So off we tromped to the park! You can order a copy of the magazine here, and if you want to make your own just like mine you can ORDER THE KIT HERE! YAY!!!!!! 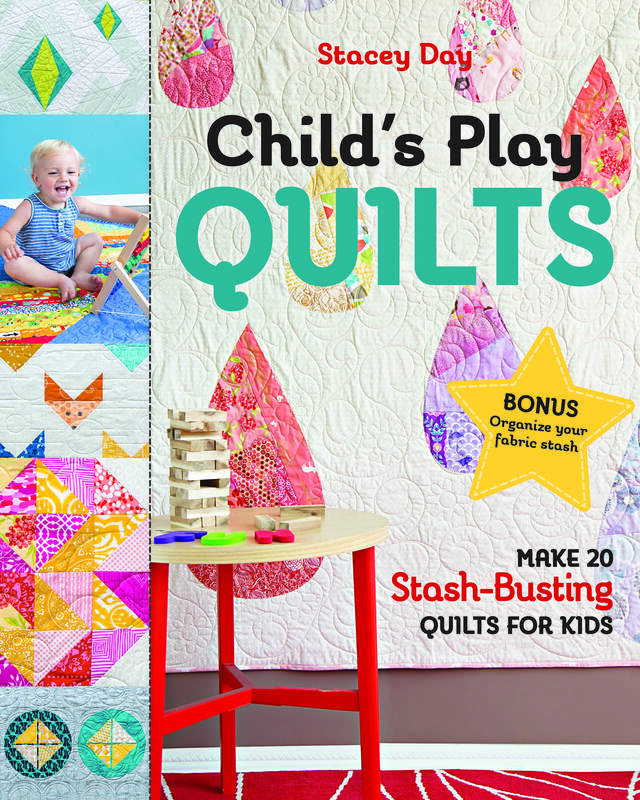 Thats right AQS loved the pattern and fabric so much that they decided to make it a kit! Kim and I were over the moon when we got the email, and I still cannot believe it! I hope you all enjoy making Whirlpool as much as I did!! Stacey you’ve inspired me. A few years ago I had a similar thing happen to me, my book was under contract as the publisher declared insolvency. My hard work in the early 2000 took the ste out of my wagon too. Great quilt! God always leads us to the best. Woohoo! Is this the day we took the kids? I swear it must be. You are so talented Stacey! Congratulations Stacey!!! Woohoo!!! I like my AQ mags, too. Sounds like I need to get a subscription! I am suprised you don’t already! 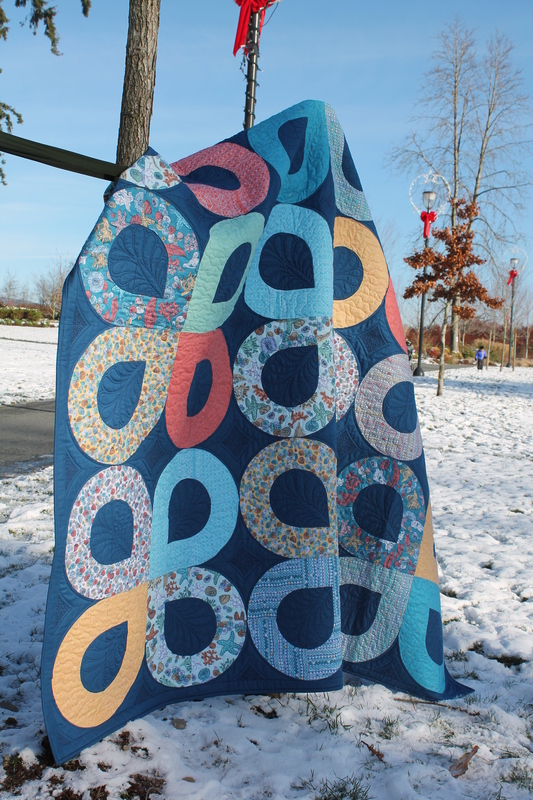 I love mine (obviously lol) and the AQS Quilt Week winners are always so inspiring! Amazing! Beautiful work … Love you bunches … In awwwwww! 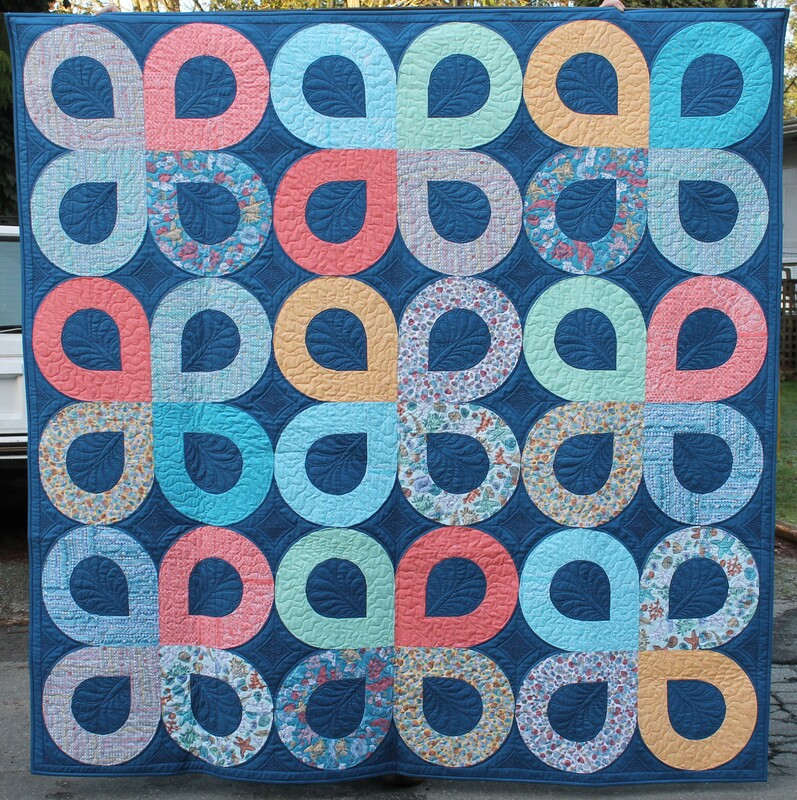 I got my AQ on Monday and fell in love with the cover quilt. Love it. So glad to hear how things worked out after the bump in the road with the book! I love your designs and I’m so glad you are publishing them. Congratulations Stacey! 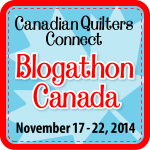 Just so you know, I just bought yout quilt that is traveling with It’s time for colour show with the CQA! It will find a very nice home in my collection I promise! too bad we live so far appart, I would have you come to teach at my store!